There are collectors who are captivated by the beauty of an orchid plant stem, the leaf shape, or leaf color. 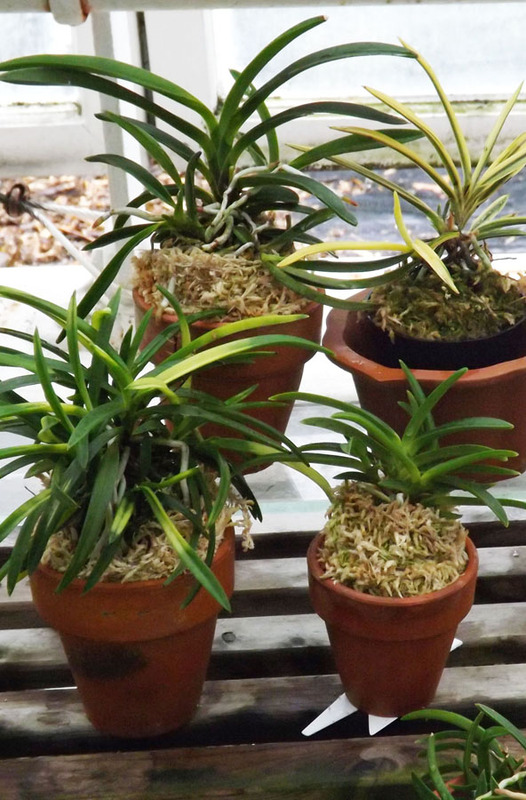 One of their favorites is neofinetia falcata, a.k.a. samurai’s orchids, which are now for sale at Historic New England’s Lyman Estate Greenhouses. These highly collectible orchids are a miniature species native to Japan, Korea, and China. Merle Reinikka writes in A History of the Orchid, “Samurai warriors grew neofinetia falcata, known eulogistically as an orchid of wealth and rank.” The orchids were admired for their beauty and elegance and served the warriors as a symbol representing bravery, nobility, and wealth. Today there are more than 2,300 varieties and many collectors devoted to its culture. Find out more about these orchids and how to care for them from the expert staff at the Lyman Estate Greenhouses.